I’m getting back into the swing after a longer than expected sabatical (best part of five years, no less!!) and surprised myself with how quickly I’m back on track. 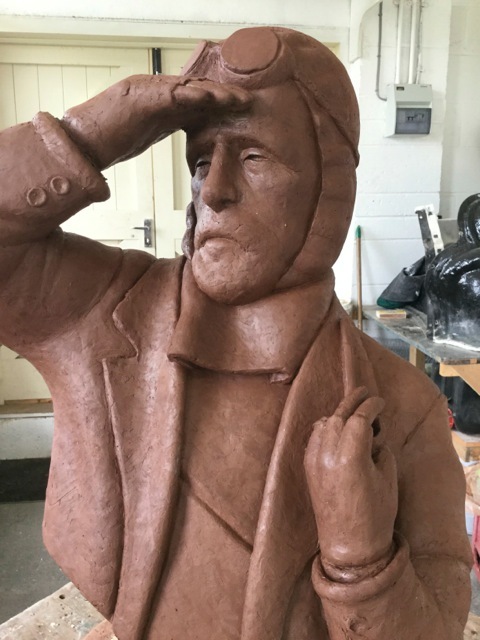 Having recently finished ‘One,Too’, which fits right in with the main body of my figurative work, I am currently working on an extended bust of an extraordinary man called Frank Wild who was born in our village and went on to be right-hand man to both Ernest Shackleton and Captain Scott on their adventures, and misadventures, in the Antarctic. The finished piece, which is in my interpretation of a naturalistic style, will be sited in a small park in the centre of the village… all being well!